Kodaikanal Holiday Packages from Kodaikanal Planet, a division of Holidays DNA: Kodaikanal, the “princess of Hill station” captivate each and every one with its exceptional natural beauty and refreshing environment offering both relaxation and exciting moments with adventurous activities. One of the best ways to go for your Kodaikanal tour is by selecting one of the many Kodaikanal holiday packages available. For a wonderful trip, tourists need access to right kind of information and appropriate facilities. Via a good and suitable holiday package of Kodaikanal, tourists can get all this and much without having to worry about the arrangement and tedious researches. However, in spite of a good destination or a seemingly perfect tour package, a trip can go wrong if you don’t have a reliable and efficient service provider. Kodaikanal Planet which is division of Holidays DNA promises an enjoyable vacation and bets of the services to all its clients. Kodaikanal holiday packages offered by us caters to wide range of tourists and their different requirements and varied purposes of visits such as adventure tour packages, family packages, honeymoon packages, business tour packages along with personal tour packages to corporate tour packages. We also present our customers with customised Kodaikanal holiday packages which suit their specific needs and requirements. Along with these, there are tour packages varying with different duration's and budgets. At Kodaikanal Planet, our highly qualified and efficient experts, with their extensive knowledge of the market, ensure that our tourists get best of the Kodaikanal holidays packages available in the market and get them best of the discounts. We while designing the tour packages, give utmost importance to customer convenience and benefits. Kodaikanal holiday packages by Kodaikanal Planet take care of almost all the aspects related to Kodaikanal tour. We also present our customers with wide range of choices such as varying options of accommodations, trip to popular tourist spots, varied choices on transportation modes (airway, railways and roadways) and booking of the tickets, access to the facilities you need, etc. Along with all this, tourists are also assisted with suggestion and updated information on the Kodaikanal. Knowledge on aspects like the best time to visit the hill station, activities to do, places for eating out, commuting within the hill station, expected behaviour and culture of the place, etc. can be gained from our executives. 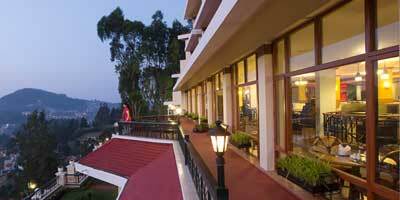 Once you are at Kodaikanal, you will be greeted with lush greenery and refreshing environment. Tourists can go for various tourist spots for few enjoyable moments. Kodaikanal offers you with wide range of options varying from lakes to rocks to waterfalls to adventurous trekking routes to temples to caves to museums. Located in the Palani Hills of Tamil Nadu at the longitude of 77.5 and latitude of 10.2, the hill station of Kodaikanal enjoys a pleasant climate through-out the year. However, the best time to visit is during the months of April to June and September to October. You can enjoy all this to the maximum with the help of a right Kodaikanal holiday package which takes care of all your requirements and is under your budget limit.